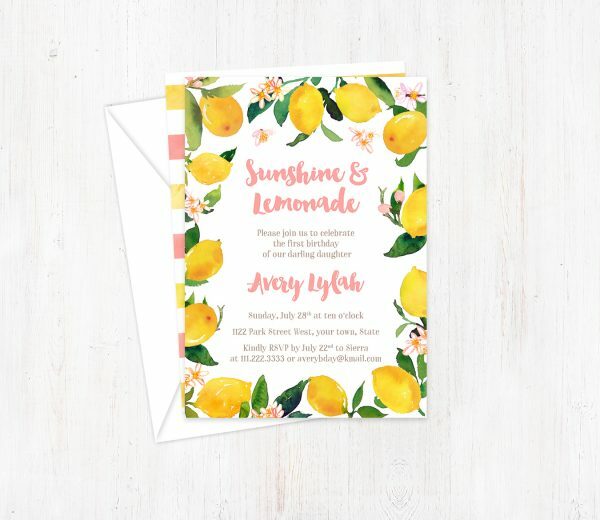 Sunny and fun Pink Lemonade Birthday Invitations for your little girl’s birthday. 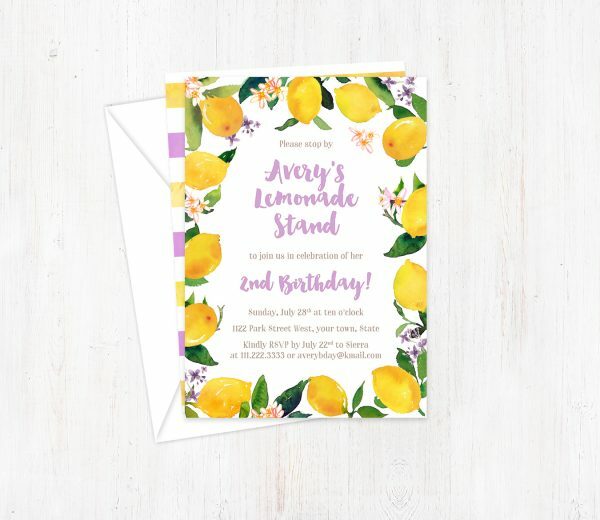 Cute brush font text with a border of watercolor lemons and leaves. The “Sunshine & Lemonade” text can be changed to your own wording. All wording can be customized as long as the overall words in the invite stay roughly the same.